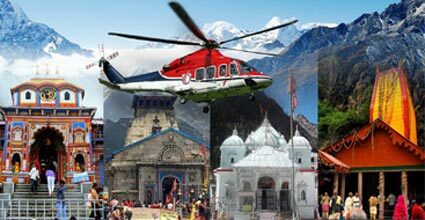 We depart early in the morning from Dehradun for Kharsali- the base for Yamunotri; the flight time is approximately 30 min. 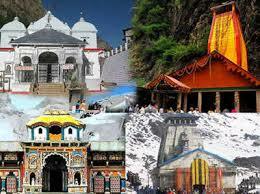 After we arrive in Kharsali, we leave for Yamunotri situated at a distance of 6 km by palki/ pony. Time taken is 5 to 6 hrs. After concluding Darshan at the Yamunotri temple, return to Kharsali for lunch, after which we proceed to board the helicopter for Harsil. Upon arrival at Harsil, a car/jeep escorts you to Gangotri. 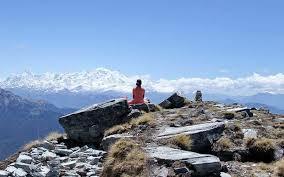 Located at a distance of 25 km from Harsil, it takes about an hour to reach Gangotri. After darshan at the Gangotri temple, we head back to Harsil; where the overnight stay is organized at the Himalayan Nature Resort. We begin the day with an early breakfast and start the journey for Kedarnath at 0700 hrs. 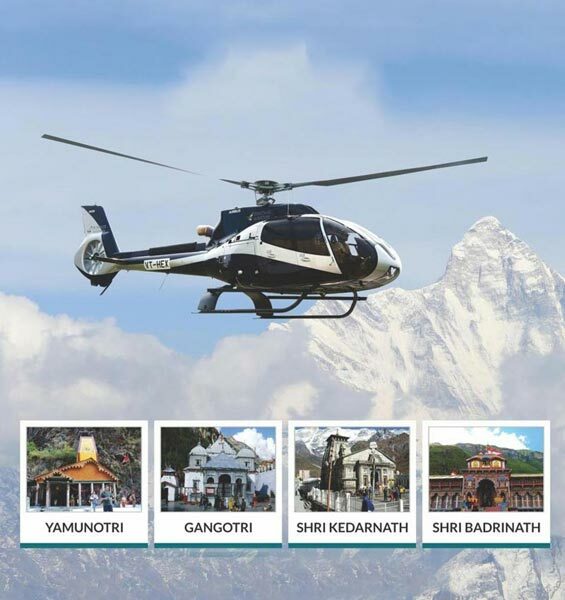 Government regulation requires the helicopter to be changed at Guptkashi, where we switch aircrafts and board another helicopter from the same helipad for Kedarnath. We arrive at Kedarnath by 0800 hrs. 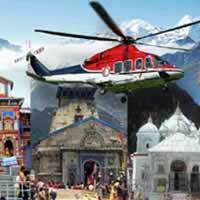 The Kedarnath temple is located at a walking distance from the helipad and special darshan slips will be provided here. 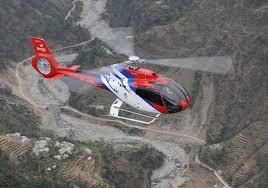 After darshan, we fly back to Guptkashi to commence the journey towards Badrinath; the flying time is about 35 minutes. 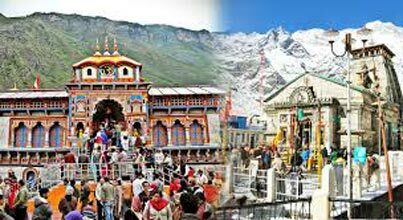 We arrive in Badrinath and proceed to the temple for darshan . Concluding the Darshan, we board the helicopter one final time to leave for Dehradun, where our itinerary comes to an end. The charter can carry a maximum of 4-5 passengers. Rescheduling of booking to a next date will be done subject to availability and on payment of 10% of the total cost. This will only be permitted if applied 7 days before journey date. In case the rescheduling is requested within 7 days to the journey, the booking will be treated as cancelled and a fresh booking will be given subject to availability.